Highest Certified by CGC! Simon and Kirby contributed an 8-page story to this issue, featuring the Flyin' Fool. 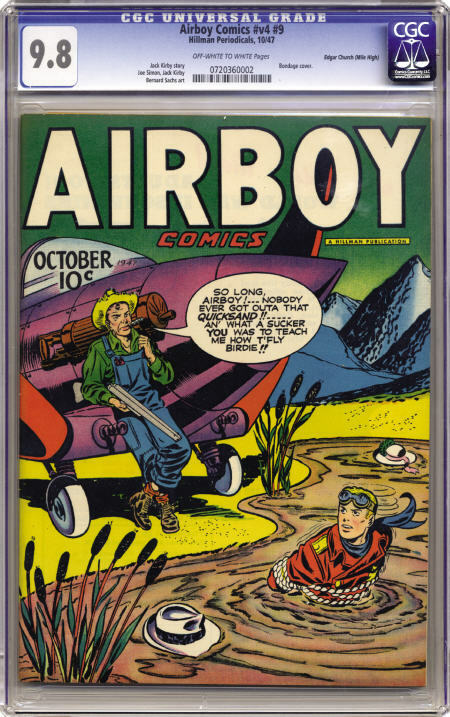 And if you collect Airboy, it would be foolish to pass up this copy -- the condition's incredible, and it's the only copy certified with a grade above 8.0 by CGC to date.